In the United States, the switch from analog to digital signals occurred in 2009. In Canada, the switch from analog to digital television occurred on August 31st of this year. Over-the-air Digital Television has become quite popular among Canadian home theatre enthusiasts because the stations are broadcast in high definition and are often superior to the same signals delivered via cable or satellite. In the larger urban centres of Toronto and Vancouver, OTA viewers can often pull in ten or fifteen channels consisting of local television affiliates, Canadian network signals from CBC, CTV, and Global along with American network signals from ABC, CBC, FOX, NBC and PBS. The Digital Home OTA forums, moderated by one of Canada’s most knowledgeable OTA experts, is the place for Canadian tech enthusiasts to discuss how to get started with OTA and learn more about OTA stations and antennas. Digital Home offers four OTA discussion Forums. Over-the-Air Digital Television – discuss OTA hardware and general issues. Please make sure you read our OTA FAQ and Newcomers thread prior to posting in the OTA forum or you may find your post removed. OTA Reception Results – this is where members in cities and towns across the country discuss their reception results. Read up on your city or town today to find out what signals you may be able to receive. 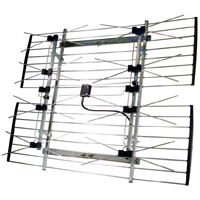 Antenna Research and Development – Not for the newcomer, this forum is for hard-core OTA fans who wish to discuss OTA TV Antenna Design, Theory, Computer Modeling, and Building. OTA en français – for French speaking OTA lovers.